This event, organised by the ESRC-UKRI, will engage the public in discussion and debate about journalistic objectivity in traditional and social media. 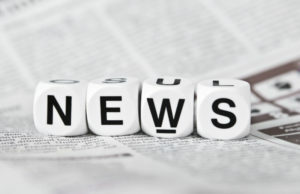 The aim is to raise public awareness of the techniques used by the media in order to condition public opinion, particularly with respect to war, so that citizens might make better informed judgments about the news they consume. The event will be centred on the topical concept of ‘fake news’ and will explore how that concept is being used to legitimise censorship. Attention will be drawn to the online censorship campaign currently being waged by Google, Facebook, Twitter, and Wikipedia. The media’s role in legitimising US/UK military intervention in Syria will be explored, as will attempts by mainstream news sources to close down any challenge to the official narrative. The case of Julian Assange and its implications for free speech and liberal values will be discussed and debated. For more information, please visit the ESRC website.